The challenge before Native World Films is to convey the elements of indigenous cultures that can help people in developed societies live better. It is not just the documentaries or conferences, where the extent of the contents is limited to showing the way of life of these ethnic groups; the aim of our project goes beyond that. These peoples can remind our society of lost values that are the basis of human emotional tranquility. 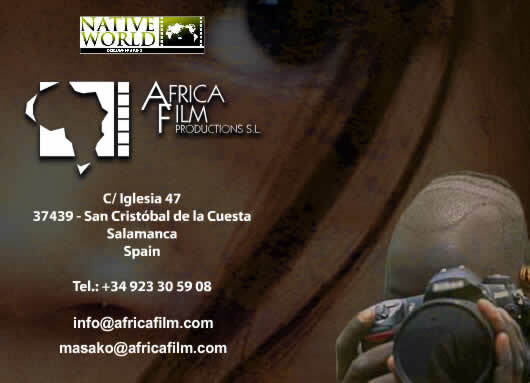 Africa Film produces anthropological documentaries based on the study of indigenous cultures from all around the world.